VISIT GLO ANTIAGING TREATMENT BAR IN CALGARY TO PURCHASE TRUSTED PHARMACEUTICAL-GRADE SKINCARE AND PROFESSIONAL-GRADE MAKEUP. At GLO Antiaging, we believe that your daily skincare routine plays an essential role in the health and vitality of your skin. WITH SO MANY PRODUCTS ON THE MARKET HOW DO YOU KNOW WHICH ONES WILL BE THE MOST BENEFICIAL FOR YOUR SKIN? That is where GLO’s complimentary skincare consultations come in. Our skincare specialists will customize an at home skincare regimen to help you maintain optimal skin health, prevent future damage, reverse the signs of aging, and work synergistically with your cosmetic procedures in order to optimize results. ZO® offers a wide spectrum of advanced skincare solutions designed to deliver and maintain healthy skin. Based on the latest advances in skin therapy technologies, ZO products help to provide continuous skin health for men and women of all skin types. Click here to view the ZO Skin Health product line. GLO offers Vivier® Pharma’s full line of products, which includes the Vivierskin®, Vivierskin® PLATINÉ and Skin Tx® lines. Featuring complete skincare systems, the Vivier family of products offers a huge selection of advanced cleansers, toners and moisturizers that prevent, protect and correct the skin. Click here to view the Vivier Pharma product line. GLO offers SkinCeuticals award winning products including: C E Ferulic, Phloretin CF, Hydrating B5 Gel, A.G.E. Eye Complex, Physical Fusion UV Defense and more. SkinCeuticals’ mission is to improve skin health by providing advanced skin care backed by science. Research and innovation are at the core of the SkinCeuticals brand. The high potency formulas are concentrated in pure actives and are used daily by dermatologists, plastic surgeons and medi-spas. SkinCeutical products are formulated to correct signs of aging, protect healthy skin and to prevent future damage. 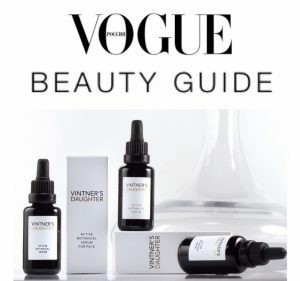 Vintner’s Daughter Active Botanical Serum is made from the world’s most nutrient rich botanicals and essential oils, it is a game changer that restores skin’s balance, texture, and natural radiance. This serum has a lavish effect on skin, giving your complexion a glow that is free from harmful toxins. Packed with anti-inflammatory phytonutrients, firming phytoceramides, nourishing fatty-acids and powerful anti-oxidants, Vintner’s daughter helps to combat the first signs of aging by maintaining skin elasticity, strengthening capillaries and inhibiting melanin production. Strategically formulated to have multi-correctional activity and with the penetration of a super power .Into the Gloss beauty blog called it “the face oil to end all face oils”. Additionally, Vintner’s Daughter has received praise from The Chalkboard as well as W Magazine and C Magazine. Their Active Botanical Serum produces guilt free luxury, restoring radiance and balance to skin of any age. Glo offers a full line of mineral makeup and cosmetics for the face, eyes, lips and body, as well as makeup brushes, tools and travel kits. And while we love their name, Glo professional makeup products are not affiliated with GLO Antiaging Treatment Bar. Consult with a GLO Antiaging Treatment Bar staff member to determine which Glo makeup products are best suited to your skin. 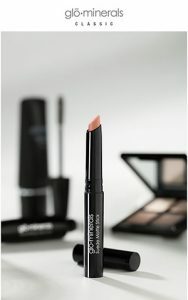 Click here to view the Glo Professional Makeup line. Because sun exposure is one of the main causes of aging skin, Glo is proud to carry Colorescience Sunforgettable – it will change the way you think about sunscreen. This ‘physical’ sun block with zinc oxide and titanium dioxide does not absorb into your skin, so it won’t clog your pores and is suitable for all skin types including patients with rosacea, eczema, and other other skin conditions. It provides instant flawless broad spectrum sun protection that can even be reapplied over makeup. The self dispensing brush makes it easy to apply and convenient to carry so that you can reapply on the go. Water resistant for up to 80 minutes. Glo is proud to carry withinUs TruMarine Collagen a hydrolyzed marine collagen that generates bioactive peptides, which enhance the production of collagen, skin hydration, hair growth and joint health. withinUs TruMarine Collagen is clinically proven to decrease fine lines and wrinkles, repair sun damaged skin, and decrease hyper-pigmentation? Approved by Health Canada, ‪withinUsTruMarine‬ ‪Collagen‬ helps with the regeneration and formation of collagen by stimulating fibroblast growth and production of extra cellular matrix components. Collagen is the most important structural protein in the body. After the age of 25 we lose 1% of our collagen per year, which causes our skin to wrinkle, joints to stiffen and bones to weaken. 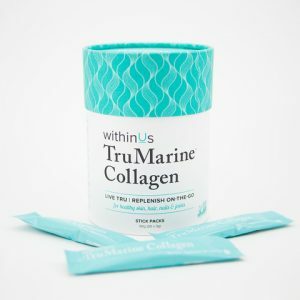 Adding one scoop of 100% natural withinUs TruMarine Collagen to your daily regimen helps: reduce fine lines and wrinkles, repair sun damage, increase skin hydration and suppleness, reduce joint pain, strengthen hair and nails, and maintain bone health. GLOing skin starts within. Why it works – No creases = no wrinkles. When you apply our Silicone Pads, your skin cannot crease to cause wrinkles. The pads (approximately 2mm thick) are kept in place – comfortably and securely – using the convenience of adhesive silicone. It’s that simple. Silicone creates moisture. Doctors use silicone sheets to prevent and treat the appearance of existing scars. Our Silicone Pads work the same way – treating the skin to hydrate and smooth wrinkles. Increased blood flow stimulates collagen. The placement of the 100% Medical Grade Silicone Pad on your skin brings blood flow to the surface, which can help to stimulate collagen – visibly softening wrinkles while you sleep. Please feel free to contact us or call 403-455-0444 with any questions regarding the products we offer.